The beans look great! And wouldn't be too difficult to turn into a vegetarian dish! Always good to have some good luck :). Hehe, my parents are also into all of this "luck" stuff. My mom just made rabbit shaped cookies for NYE because it's going to be the year of the rabbit. Hilarious. Blackeyed Peas..yum, yum..looks fantastic Veronica! Happy New year to you and yours! 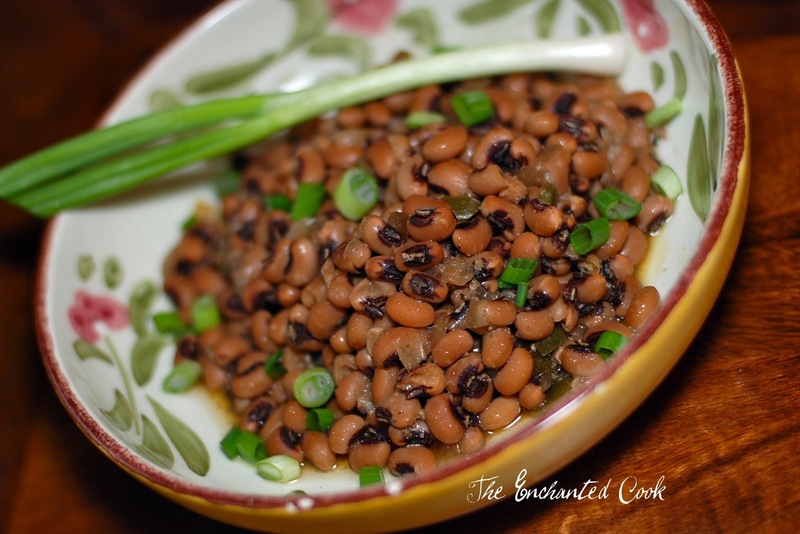 I have never had blackeyed peas but have always wanted to try them. I have no idea what we are doing this NYE so maybe I can convince myself to give this a go! love love LOVE black-eyed peas!! And love the addition of jalapeno- that's a new twist for me...will have to give it a whirl in a few days! So nice to find your blog from Lazaro! Lookin Good! 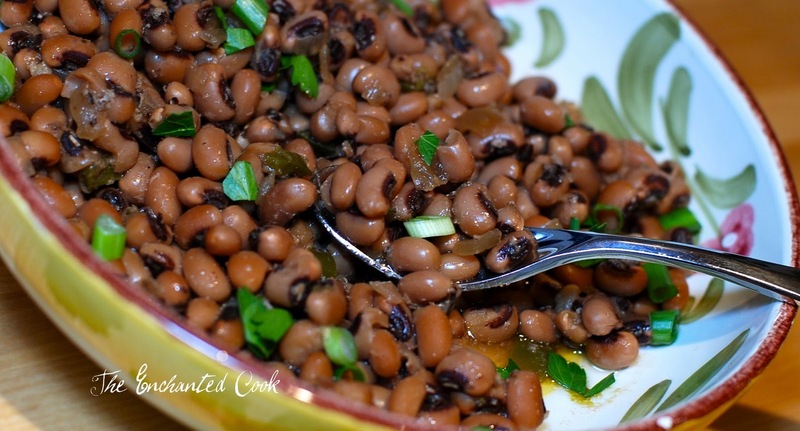 Blackeyed Peas for New Years are a big tradition in our family. My mom used to put a dime in the bottom of the pot when she made them. I like your recipe, thank you for the great pictures also. Veggie version: No pork and use veggie stock or veggie bouillon cubes instead chicken stock. I cook for someone who cannot eat mammal meat because of a missing digestive enzyme so I cook them with veggie stock all the time. This recipe looks great will have to give it a try. this year was the first time I heard about eating peas/beans on New Years Eve. I love eating all sorts of legumes year round, being a good source of protein.